A growing number of fruit and vegetable farmers in southern Ontario are switching over to cannabis or at least adding it to their production. That means additional demand for water, electricity and other municipal services — a financial challenge for small towns like Leamington. Move over tomatoes, cucumbers and peppers. It's time to make room for your popular new cousin in the agriculture business: cannabis. In Leamington, Ont., which is the "sun parlour of Canada," according to the town's mayor, a growing number of fruit and vegetable farmers are switching over to cannabis or adding it to their crop production. "The greenhouse industry has grown steadily over probably the past 50 years. The cannabis industry has gone like this," said Mayor John Paterson, with a snap of his fingers. "It's just overnight." Licensed marijuana producers are racing to get more cannabis into the pipeline, as supply shortages are already being forecast for the first year after recreational pot is legalized on Oct. 17. Leamington has become a prime target for added production. "It's kind of odd the way things have been happening lately," said Paterson. "When a new greenhouse gets built, the cannabis industry comes in and says, 'We'd like to buy your facility and plant cannabis instead.'" 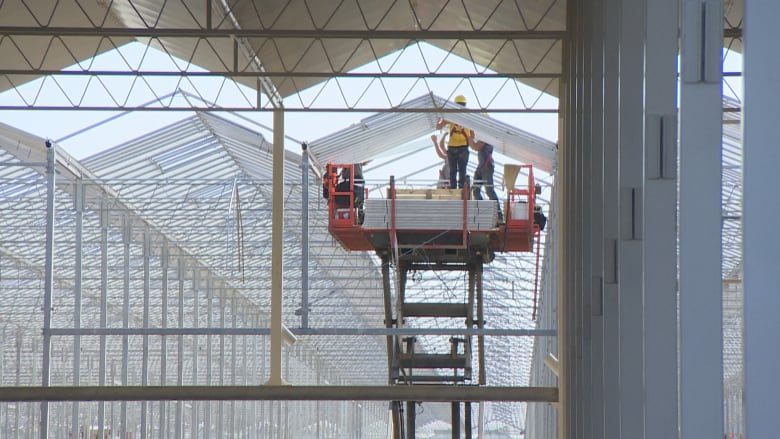 The Windsor-Essex area in southern Ontario is home to more than half of Canada's greenhouses — most of them massive in size, and loaded with tomatoes, peppers, cucumbers and other types of produce. Greenhouses are ideal for cannabis, too. Natural light helps grow high quality plants with lower energy costs, and the structures can be erected quickly and expanded more easily than other types of buildings. Plus, the Windsor-Essex region's weather, proximity to highways and experienced labour force make it an obvious choice for licensed cannabis producers. 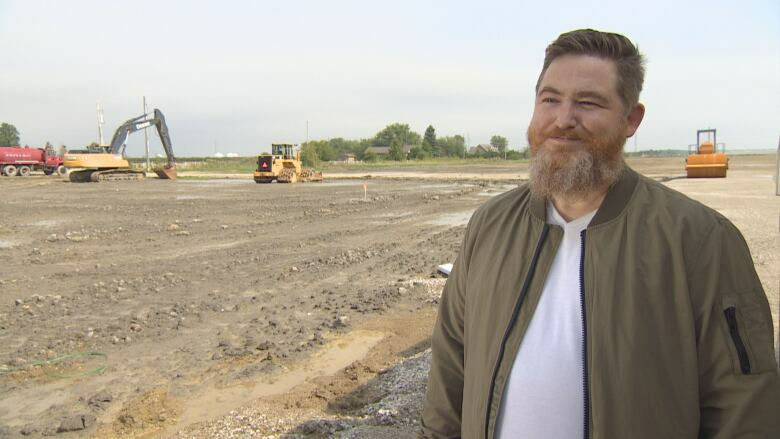 Vancouver-based Auxly Cannabis is about to break ground in Leamington on a 1.4-million-square-foot greenhouse, located just outside of town. 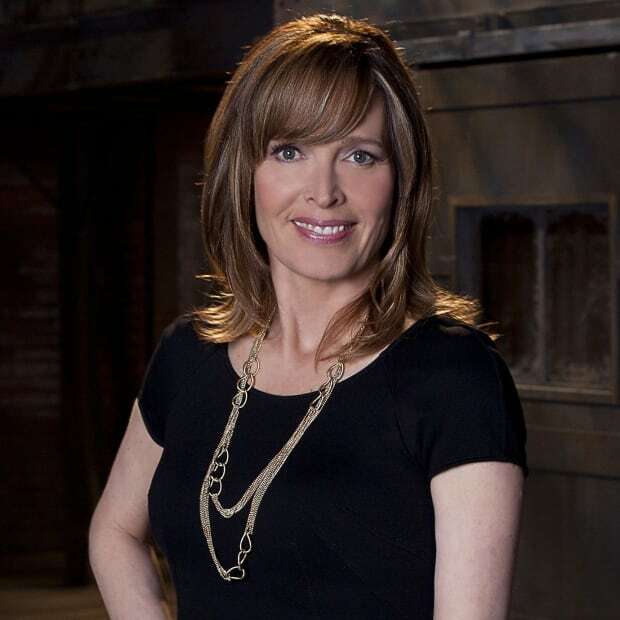 "You really can't build over a million square feet of warehouse in the amount of time you need. But you can put up glass and greenhouses very quickly," said Auxly CEO Chuck Rifici. "We see a looming supply shortage in Canada and we are looking to build our capacity as fast as possible." But will the rush to solve a shortage in cannabis lead to a shortage of vegetables? "I don't think consumers should be worried," said Joe Sbrocchi, general manager of the Ontario Greenhouse Vegetable Growers. Overall, he says the agriculture sector is in growth mode. "Our estimates show that we'll see an almost two per cent increase in the amount of acreage that's going to come on this year, and that's for vegetable production." Sbrocci points out, though, that his organization had originally expected growth of closer to nine per cent. He suspects some of the shortfall may have gone to cannabis, but says he can't be sure. "The cannabis growers aren't telling me much," he said with a laugh. Canada already produces more greenhouse-grown vegetables than are needed for the domestic market. Exports are sent primarily to the U.S., but also to Japan and other countries. Sbrocchi says he has other concerns ahead of legalization. He compares the growth in cannabis production to a type of gold rush, where growers can earn "30 to 40 times" as much per acre as they do with vegetables. That means staffing concerns are a growing issue, he says. "Cannabis can afford to pay workers more at this point," he said. "We could lose some of our best young people." Sbrocchi also wonders if growers could be rushing into an unknown market. "It's dangerous. No one knows if they will be able to sell it all," he said. Still, uncertainty about demand didn't appear to dampen the buzz about cannabis at this year's Canadian Greenhouse Conference in Niagara Falls, Ont., which took place earlier this month. 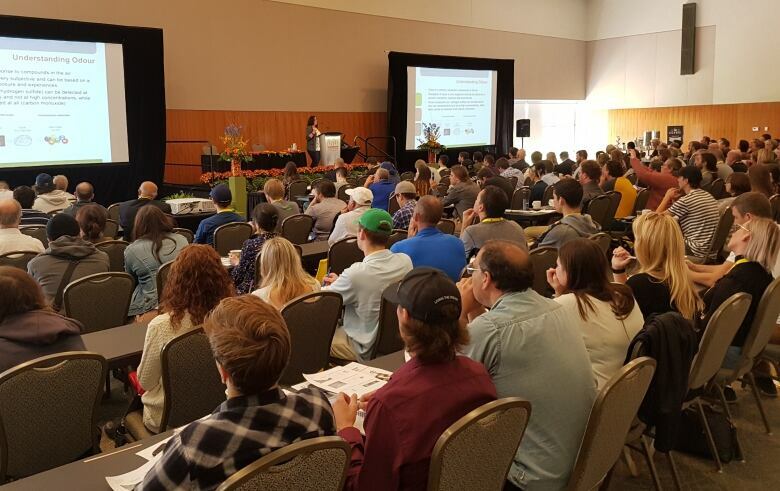 The event offered four sessions related to cannabis production, including ones on "reducing the nuisance of cannabis odours" and "innovation in cannabis genetics." Each session was standing room only. Conference organizer Allan Van Staalduinen put it this way: "I think everybody is kind of looking at that opportunity to maybe change their business, and thinking, 'Hey, is that something that I could get into and profit at?'" 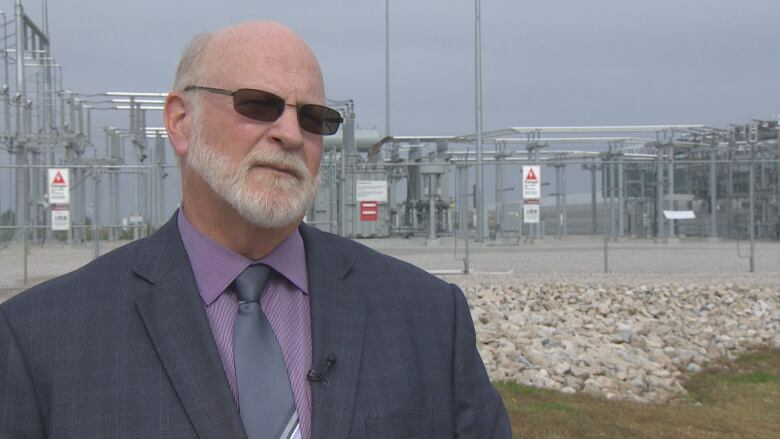 Back in Leamington, Paterson says the growth in greenhouses is putting pressure on the town's services, in particular hydro, water and natural gas. The municipality has been struggling to upgrade these services to keep pace with greenhouse construction, and the next challenge is to find the money for a new $80-million sewer line. "Leamington is too small," said Paterson, referring to the town's tax base. "We're going to need provincial and federal help on this." And the cannabis invasion has seemingly only begun. While Paterson declined to identify specific companies that are looking to expand production to Leamington, he says there are many that are interested. "We've interviewed with probably five of the big names that are out there," he said. "And now we're dealing with companies from European countries that are coming here to look and see if they should be establishing here as well." Auxly's Rifici says it's not surprising that the rapid expansion of a brand new agricultural product will strain the system — but he doesn't see it as a lasting problem. "I've never heard any mayor or community say 'We want fewer jobs and we want smaller business.' And so for that reason, I think there is an adjustment period, but in the medium and long term, it'll be great."